Exactly a year ago today, TL and I got the keys to our first home we purchased together. It was exciting, scary, and required a ton of patience as the process took more than 7 months to go through with this house! It was a wonderful decision and it's turned in to our perfect home. We wanted it to be a place we could enjoy having friends over, celebrating holidays & special occasions, grow into and just feel cozy! We are so fortunate we found this house for the price we did. It was move-in-ready, and we didn't have to do a thing! TL, me & the keys!! Picture overload, sorry about that. I can't believe it's already been a year. You just made me realize we bought our house 8 months ago. Soon it's gonna be our house anniversary as well! Your house looks awesome! I love the details, especially in the dining room!! what a gorgeous home!! Everything is just beautiful! You have a beautiful home!! We've been in our home 3 years this fall and I still can't believe it! Enjoy every minute! Great pics! Love your decor! I love your home. You have done a great job. Show us MORE! I don't know what you're talking about when you say you lack skills - you have made that house into a BEAUTIFUL home! It's gorgeous! 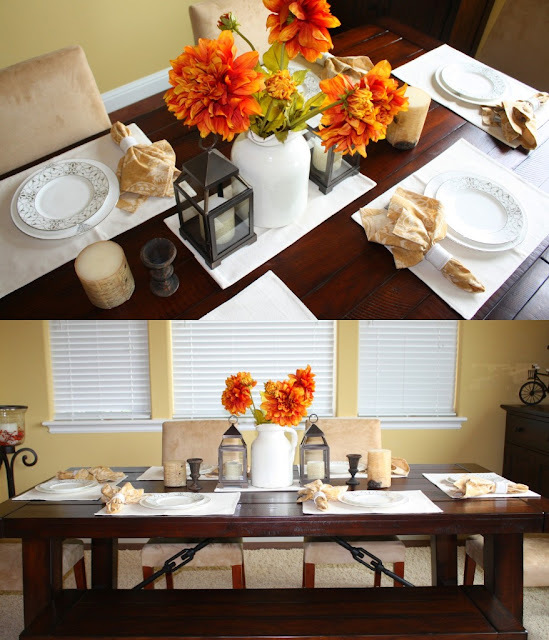 Is your dining room upstairs - the family room pic says upstairs & that looks like the same table behind it. also I was looking at the pic of your lower level... it looks like it is not ground walk out.. since it has a balcony off of it? Great job! Everything looks great and the dining room is my favorite too! Your home looks gorgeous!! 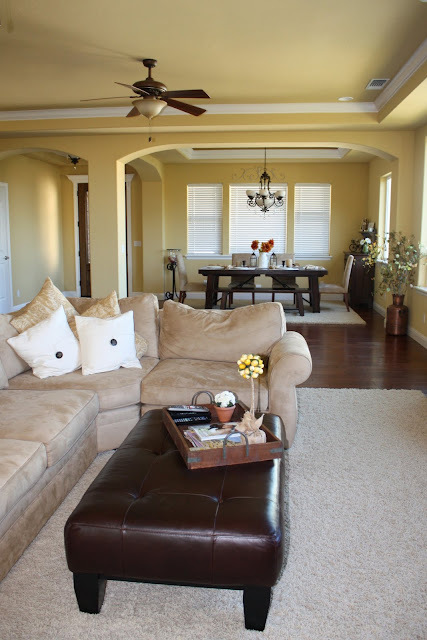 I really like the wall colors and the ceiling in your upstairs living room! Wow that is a gorgeous home! And you are very much a Martha Stewart! I love your decor and the way you decorated. That house is beautiful. It will still be a year or so till we purchase our first home...I can't wait! Ok seriously, that is incredible gorgeous! And I think you've got Martha beat! Are you kidding?? You have a great natural talent at decorating!! Seriously! You're home is absolutely gorgeous! That is a beautiful home and you did a great job of decorating!! You home definately looks like a home. Love it! Great decor taste! Aww Congrats! You have a beautiful home! Loved the before and afters. Also, love your style! CONGRATS!!! This post makes me so happy for you and so sad for us. We are STILL looking and I feel like I have looked at hundreds of homes...but I know our patience will pay off. Anywho, LOVE the mirror over your chimney and LOVE LOVE LOVE your open kitchen. :) Have a wonderful 4th of July weekend! your house looks beautiful! 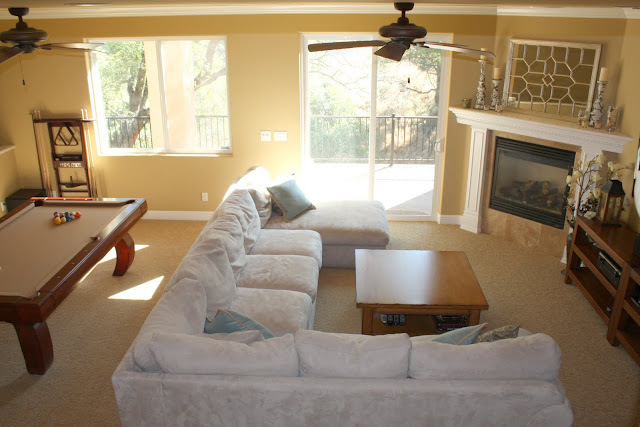 so bright and homey feeling.. love it :) ahh the living area with the fireplace.. amazing. you did a really wonderful job! Congrats on the 1 yr Anniversary. Can I ask where you got your dining room table, and what color you used on your walls? I love all of the pictures! Your house is beautiful! I love the colors and all of the room designs! seriously a beautiful house! &&to me it looks like you did a great job decorating! 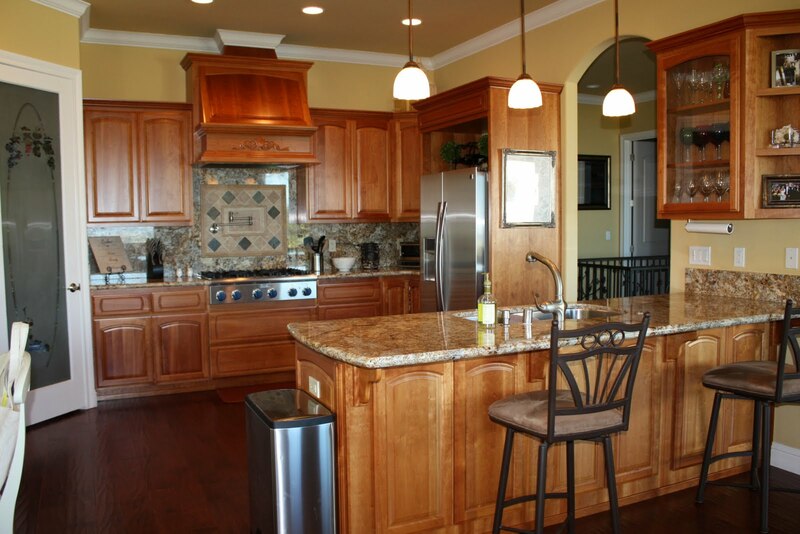 How much fun to see a tour of your home - everything looks so wonderful! I love the color of your sofa and fun that you have a pool table behind it. Also - your kitchen is fabulous! Glad you can enjoy your lovely home Tracy. Congrats on your home ownership anniversary Tracy ~ it is an exciting time and your home is gorgeous. I love everything that you have done. Nice mirror ~ it caught my eye right away! Hope you have a fabulous 4th of July! Beautiful!! you did a great job with your house - loving all your decor and furniture. happy anniversary :) and wishing you a wonderful 4th of July! Your house is so pretty! I really like your kitchen. I think you've done a good job decorating. You are quite the homemaker! I love your house and how you designed it! Holy moly, your house is gorgeous!! your house is HUGE!!!! pays to live in the sac town area my GAWD! i'm JEALOUS!!! It looks amazing! I think you've done a great job with the decorating! I love that mirror! Holy smokes your house is GORGEOUS!!! I just wrote this and I think it disappeared! congrats on your one year home anniversary!! that is so exciting. 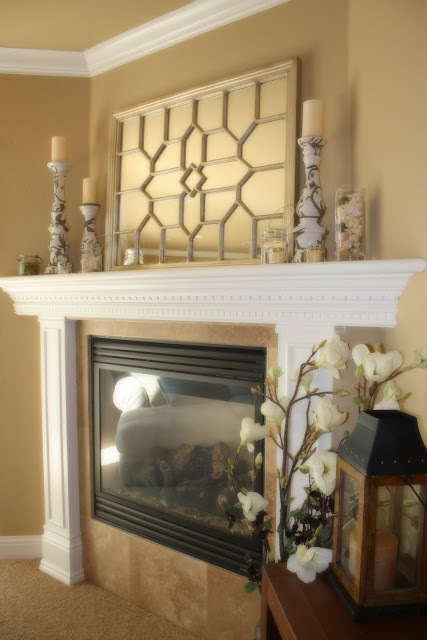 your home is beautiful, it looks so warm and inviting, it is fun to see the pics! I thought you said you didn't know how to decorate?! I love everything you did. The downstairs looks so cozy and well actually everything, I think, would be just as I would do it. I'm pretty I'd love that house! Nice job!! Gorgeous!! I've got some serious house envy going on over here! It all looks so clean and well kept compared to my house which rivals a toy store these days! !